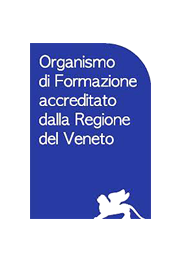 On the 22nd of March, 1845, the deed of acquisition of the lot of land from the Municipality of Verona by the members of the recently constituted Società del Nuovo Teatro (the New Theater Society) was stipulated at the Municipal Community Office. In a short time the theater was built, according to Enrico Storari’s design, as we can read in a letter to the Podestà (Chief Magistrate) Giovan Girolamo Orti Manara. On the twelfth of September, 1846, it was inaugurated by performing the Verdi’s opera “Attila”. “The Nuovo Theater just now built in our Piazza Navona , was opened last night for the first time. The conveniences of a new theater required, at its opening, a new , ever heard before in Verona opera; this is the reson why ‘Attila’ was chosen”. (Extract from Il Foglio di Verona of the 14th of September, 1846). The main façade, looking on Piazza Viviani, has an outstanding colonnade in white and grey stone; the theater is Italian-style with two orders of loges and ionic style columns, a balcony and two galleries. Golden decorations on a plain white base enrich the theater together with red velvets and a clock situated over the proscenium. The theater has got a foyer, also named Giulietta’s Little Theater from where you can enter Giulietta’s Courtyard, too. The Nuovo Theater was also the scene of irredentist events in 1846 and in 1848 so that its closure was commanded until November 1849. At the end of 1858 it was requisitioned by military authorities, like the other theaters, and reopened on the 2nd of January, 1862, with the performance of Il Trovatore and at the presence of the Emperor Francesco Giuseppe. Before being closed for safety reasons in 1909, the theater had staged many operas: in 1872 “Martha” by Friedrich von Flotow was unfortunately a flop, in 1893 “Pagliacci” by Leoncavallo was on the stage, in 1901 the premiere of “Le Maschere” by Pietro Mascagni, staged at the same time in seven cities, was performed. The theater was reopened with performing “Tosca” by Giacomo Puccini in 1914, “Il barbiere di Siviglia” in 1915, “Lohengrin” in 1919, “Madama Butterfly” in 1930, “Lucia di Lammermoor” in 1932, “Manon” by Massenet and Andrea Chénier in 1940. Even during the war time, in 1943, “La Traviata” and “La Bohème” were staged. Then the building was broadened and structurally changed various times: between the years 1860 and 1861 and the years 1909 and 1914, in 1931 the land lot in Via Cappello was purchased and the foyer and the café were built. During the 2nd World War the theater was remarkably damaged and between 1946 and 1949 it had to be repaired. At last it was reopened on the 2nd of October, 1949, and since that moment the playbill has focused on drama production.